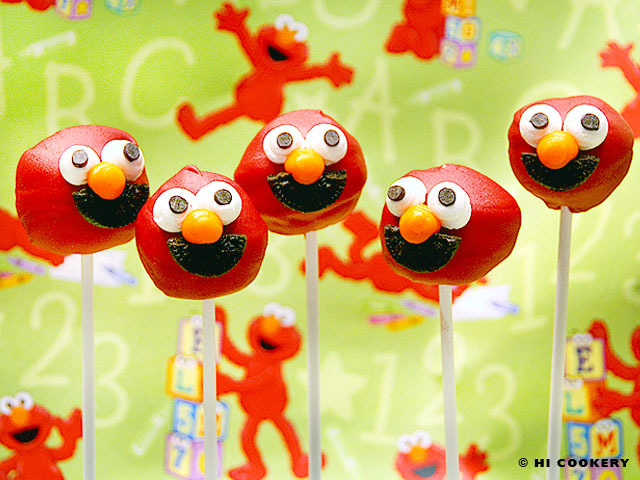 Happy birthday to our favorite, fuzzy red monster from Sesame Street—Elmo! He is extremely popular with kids (and kids-at-heart like middle-aged Islander) and has a positive impact all over the world. To celebrate his birthday, we made simple but adorable chocolate cupcakes covered in red and orange frosting and decorated with vanilla candy wafers and an Oreo fudge creme cookie. 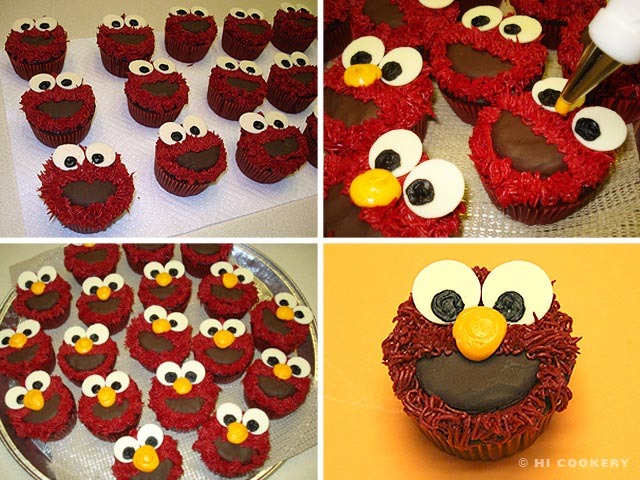 We share these irresistably cute creations with co-workers and college students and they are always tickled at the sight of smiling edible Elmo cupcakes! 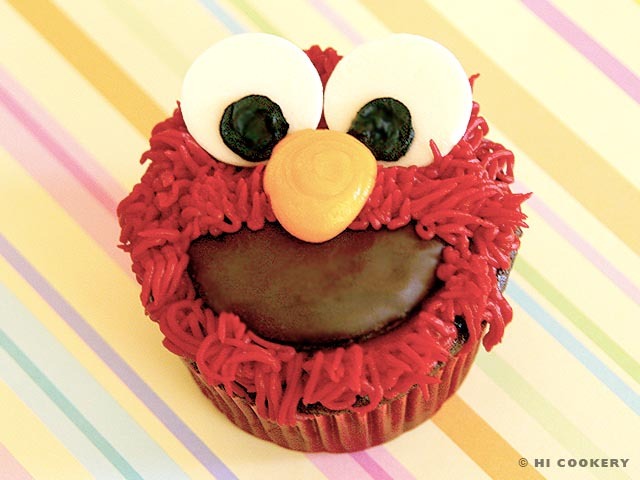 Spread some smiles today and give the gift of an Elmo cupcake on his birthday. Bake and cool cupcakes. 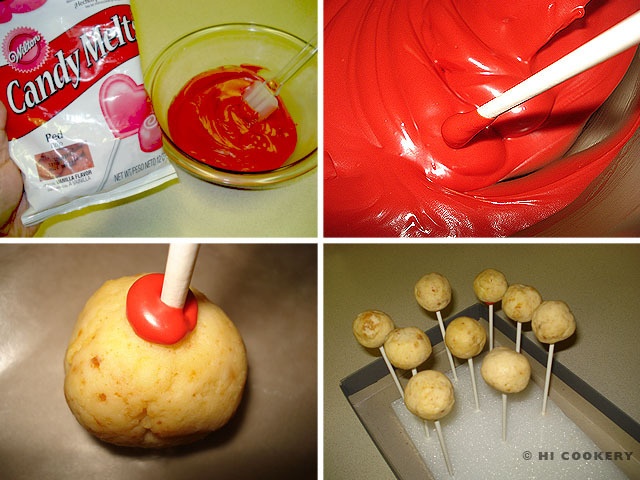 Stir the red frosting to a spreadable consistency. Use the “grass” tip to pipe in Elmo’s fur. 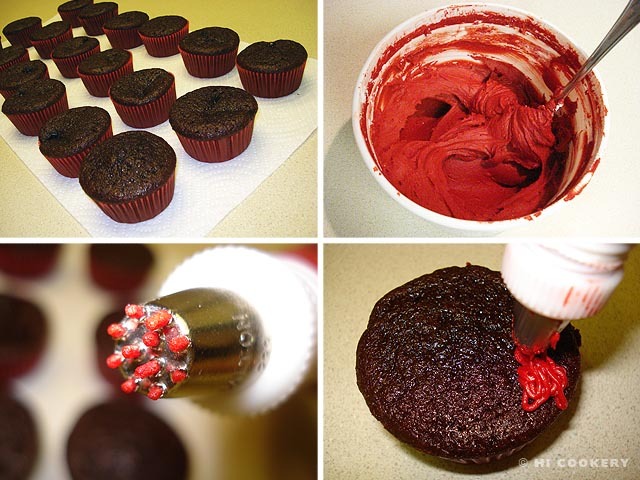 Begin piping the frosting on the outer edges of the cupcake and generously finish filling in the middle. Cut the Oreo fudge creme cookies in half. Place a piece on top of the cupcake. 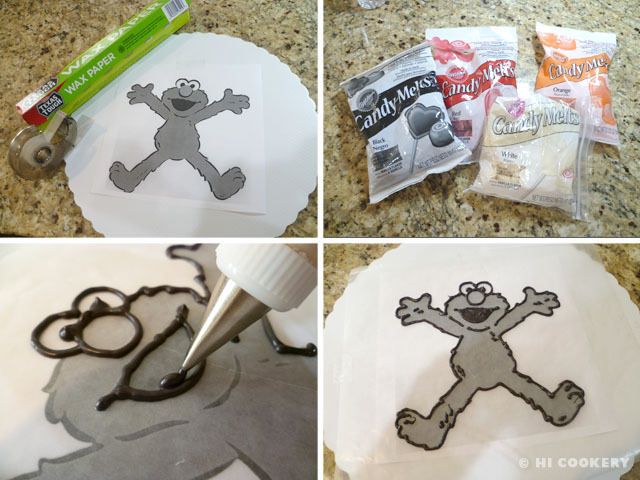 Pipe around the edges to cover any cookie seams. 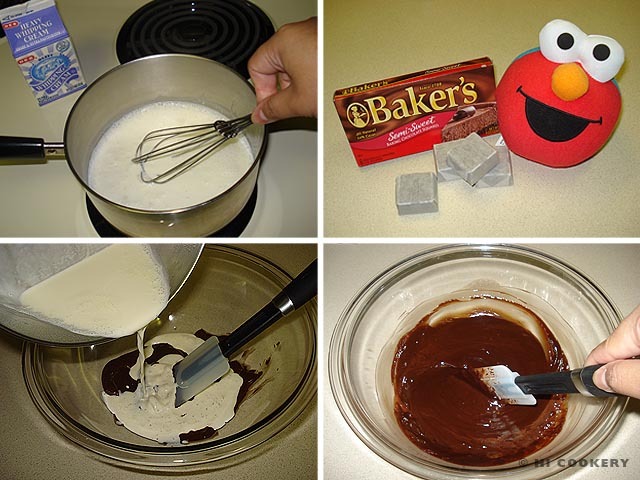 Prepare Elmo’s eyes by matching pairs of vanilla candy wafers. 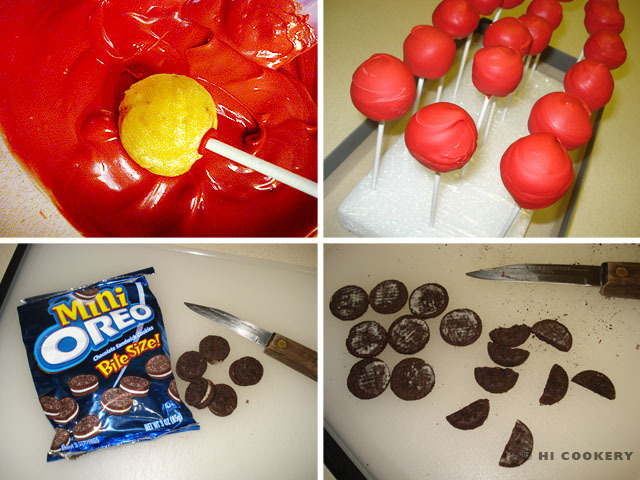 Use the black tube frosting with a small round tip to pipe in the pupils. Position the eyes on the cupcake above the cookie mouth. Use the orange tube frosting with a large round tip to pipe in the nose. 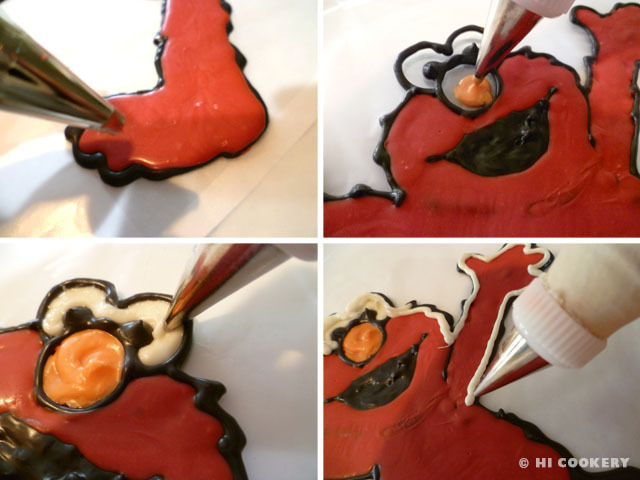 Complete the rest of the Elmo cupcakes in the same technique. Use your favorite flavor cupcakes. We recommend a red velvet or chocolate cupcake recipe from our previous blog posts. 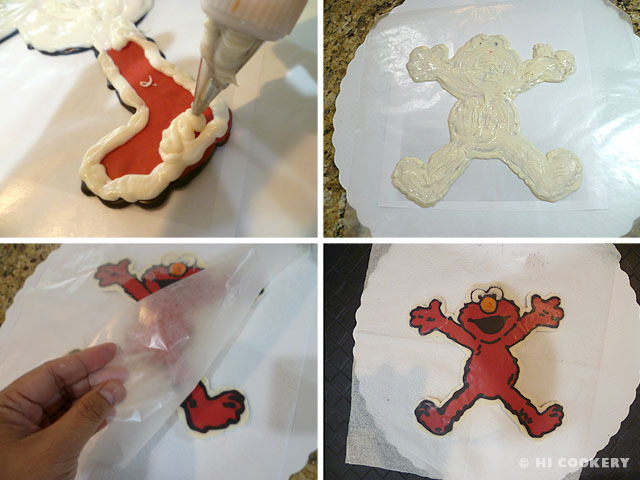 Bake them in red cupcake papers or Elmo-themed liners. 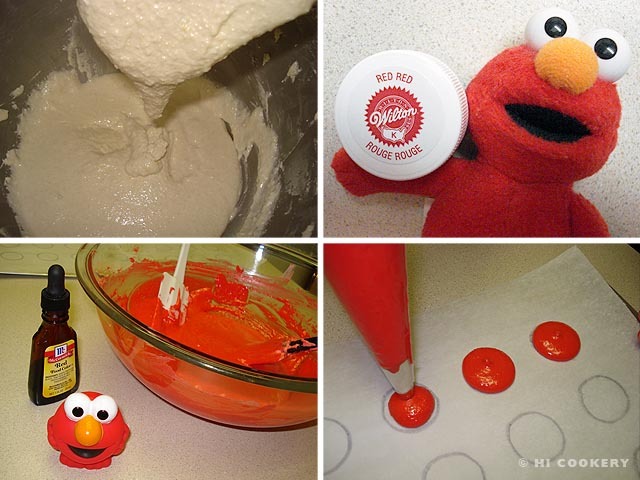 We used CK brand tub of red frosting since the Wilton brand has been discontinued. The latter yields a more vibrant and brighter red color. Pre-made frostings are not the best tasting but they are convenient for decorating a big batch of baked goods in color. 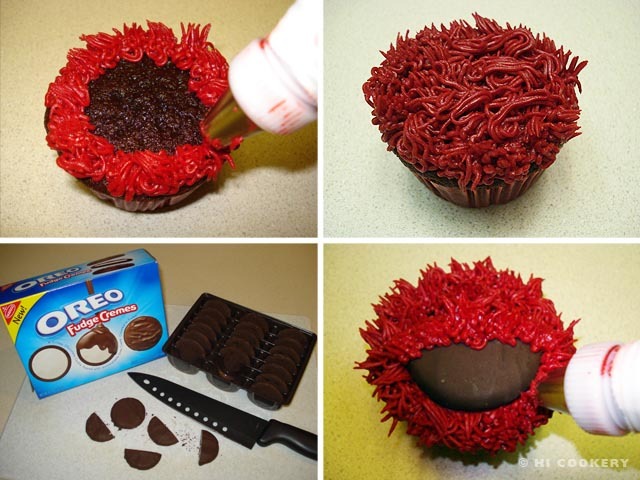 Substitute blue frosting, eliminate the orange nose and mix up the eyeballs to make Cookie Monster cupcakes. We used a “star” instead of “grass” tip to make a similar version of Cookie Monster cupcakes on November 2, which is Cookie Monster’s birthday. 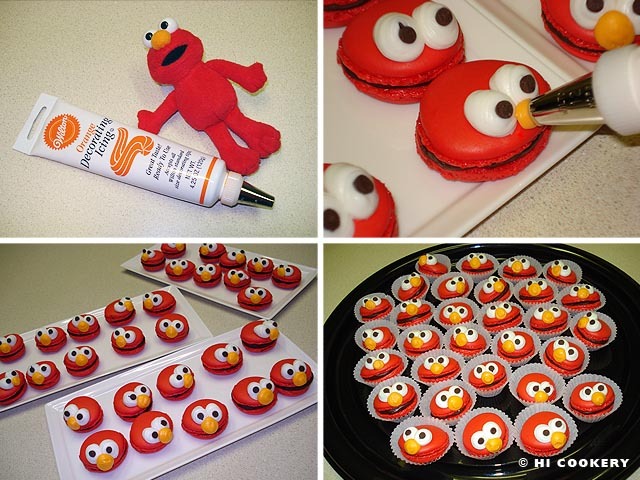 For a baking challenge, make Elmo macarons for his birthday! Check out our MacAttack post for decorating techniques. 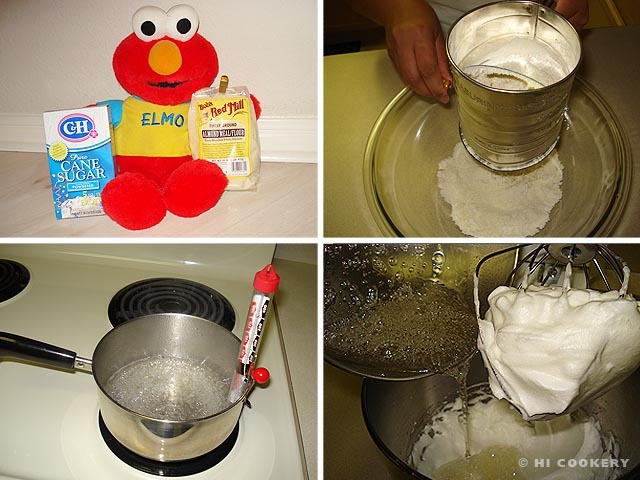 See more Elmo cake and cupcake decorating ideas on the Elmo Cake website. Islander LOVES Elmo!!! She just can’t resist the Sesame Street star with the bright red fur and big eyes, nose and smile. 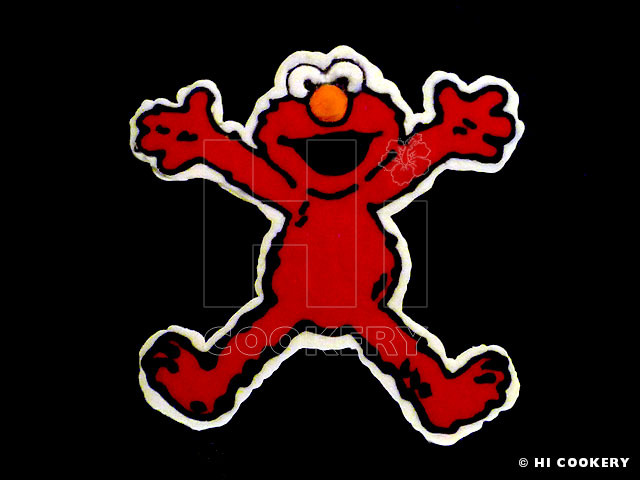 He exudes energy, optimism, cheer and playfulness—all of which are positive qualities that we need more of, not just in “Elmo’s World” but in ours. Islander has an accumulation of toys, clothing, cups and party decorations (gifts from Highlander, family, friends and even herself!) that rivals any kid’s collection. 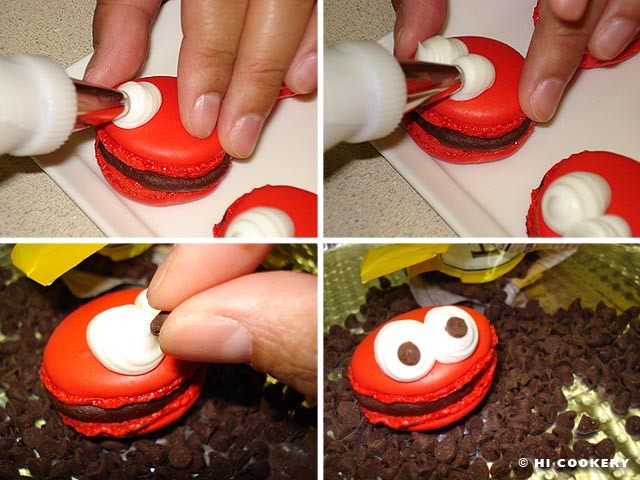 In honor of Elmo on his birthday, Islander gave macarons a makeover by piping on his famous facial features to add a peppy personality to the petite French cookies. 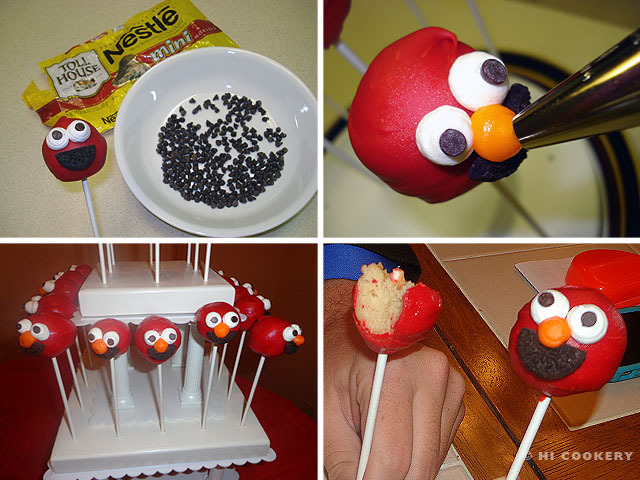 Elmo is her muse and the inspiration behind the dessert decorations. Pictured below in the visual tutorials are a variety of her beloved Elmo “models” who joined her in our kitchen while making macarons. Happy birthday, Elmo! Sift the almond flour/meal with the powdered sugar. Grind in a food processor in batches to remove any lumps (optional). Whip the egg whites until peaks form. Make a simple syrup to stabilize the egg whites by boiling the sugar and water together until it reaches a temperature of 245 degrees F on a candy thermometer (or until it reaches a soft ball stage). Pour into the egg whites and whip again until stiff and glossy. 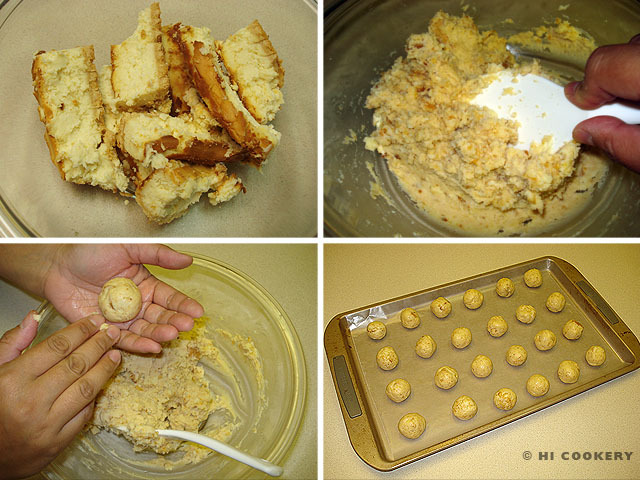 Fold in the almond flour/meal-sugar mix until the consistency “flows like magma.” Mix in the vanilla flavoring. 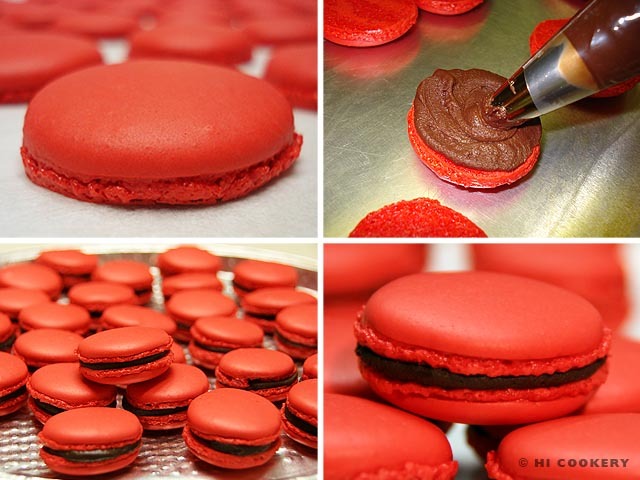 Tint the macaronage with red food coloring. (We used a combination of red liquid drops and red concentrated gel icing color but recommend the latter for a more vibrant hue and less liquid in the macaronage.) Pipe one-inch discs on a parchment paper on top of an insulated baking sheet. Let the discs air dry to develop a thin skin for at least 30 minutes. Bake in a preheated oven at 300 degrees F for about 15 minutes. Watch the “feet” develop, but be careful not to brown or burn the macarons. Remove from the oven and let cool for 15 minutes. Peel off the macarons from the parchment paper. Sort by size and match pairs. Make the filling. In a saucepan, heat the whipping cream on medium-low heat. Bring to a boil, stirring constantly. In a microwave-safe mixing bowl, melt the chocolate squares. Pour the cream into the melted chocolate. Stir until well combined. Let cool to thicken. Whip the chocolate ganache until it reaches a spreadable consistency. Fill a pastry bag with a large round tip. Pipe in the filling and sandwich the macarons together. Refrigerate for at least 30 minutes to let the filling set. Pipe two small rounds (eyeballs) with the white tube frosting near the edge of a macaron. 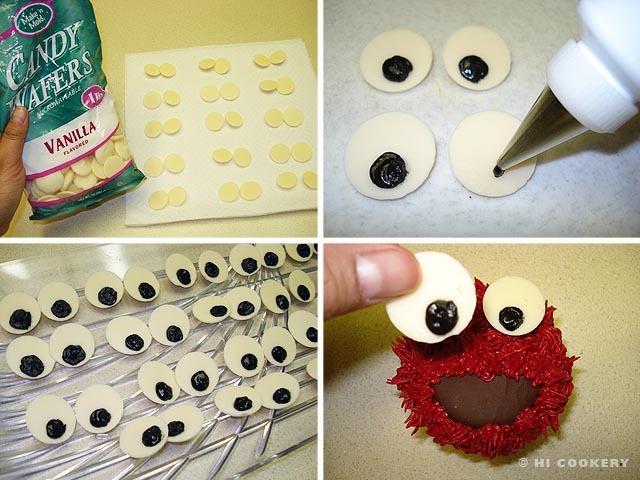 Add the mini chocolate chips (pupils) on the point of the white icing of the eyes. 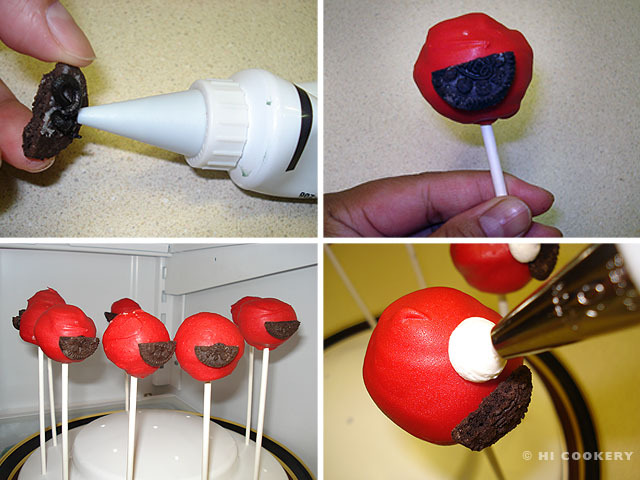 Complete the facial features by piping in a small round (nose) with the orange tube frosting. Let the orange frosting dry for a few minutes before gently pressing down on any tips of the nose. Refrigerate the macarons to set. Bring to room temperature before serving. 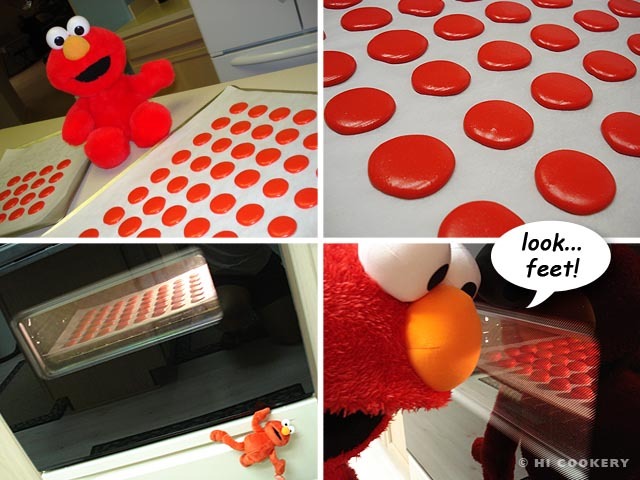 Elmo is our muse and model for making macarons and is the inspiration behind our entry into the January 2011 MacAttack challenge following the “MacInspiration” theme. Visit Elmo and all his friends on Sesame Street. The official site has a selection of videos, coloring pages, interactive games, playlists and more! PBS TV has similar stuff. Watch a YouTube interview with Elmo on the Sesame Street channel. Listen to an interview with Kevin Clash, the positive puppeteer behind Elmo, on Wisconsin Public Television. “Being Elmo: A Puppeteer’s Journey” won the Special Jury Prize at the 2011 Sundance Film Festival. Sesame Street fans who like our Elmo macarons may be interested in our Cookie Monster cupcakes.